As you probably heard by now, one of the best linebackers to ever play the game of football was found dead yesterday morning at his home in Oceanside, California. Junior Seau, the former San Diego Charger, Miami Dolphin, and New England Patriot was found dead by his girlfriend with what seems to be a self-inflicted gunshot wound to the chest, ending his life at only 43 years old. I didn’t intend to write about his story until the police investigation into his death was complete, or any medical studies could be done to see what impact potential head injuries may have contributed to his untimely death (Boston University is one school that may be interested in studying his brain), but this afternoon I came across a video that I would like to share with you. In this video, Junior Seau begins by speaking about giving back to the community and to the people who work in sport management and behind the scenes to allow the games on Sundays to mean as much as they do. Seau understood all the work that it takes to run a successful event, and for a short time he starred in a television program “Sports Jobs with Junior Seau” which aired on Versus Network and depicted some of the behind the scenes and support jobs in the sports industry. As someone who majored in sport management this program was really interesting to me, and it was great to see someone who had been on the other side of it be able to appreciate everything that goes into any sporting event. Later in the video a reporter asks him about being able to compete at the high level that the New England Patriots and Bill Belichick demand (Seau played his last 4 seasons with the Patriots after a four day “retirement”) and Seau answered that he wasn’t worried about that. He said that he wouldn’t be there if he was worried about that, and then said the one thing that stood out to me most, “the one thing I know is that you can’t coach courage”. He then went into a bit of football speak, and then talked about the “Patriot Way” where you do whatever is asked of you to make the team better. That one line “you can’t coach courage”, even though it was said at tail-end of his career, explains so much about Junior Seau and the way he played, and is a line that everyone can use as motivation to reach their dreams in life. 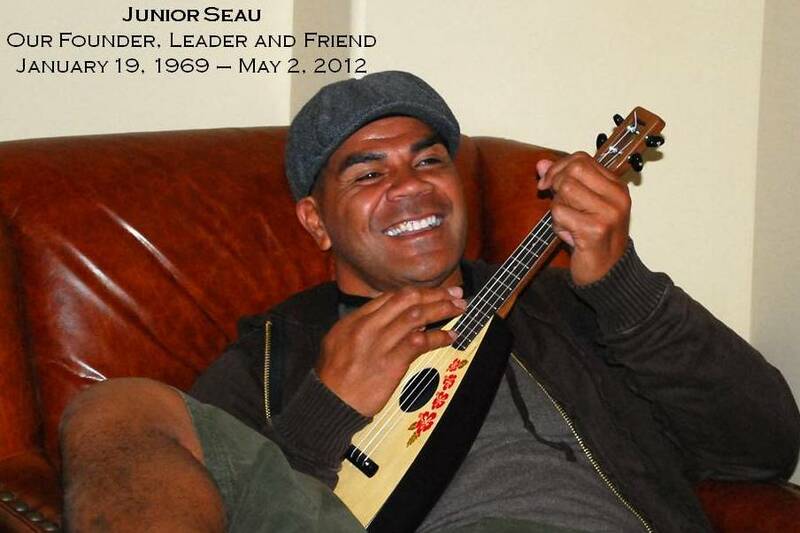 On the field Seau was known for his passionate playing style and for the emotion that he displayed between the lines. He called everyone he knew “Buddy” and has been widely praised for his work ethic and his leadership. I read somewhere yesterday that when a cornerback or a safety dropped an interception, instead of yelling at one his teammates, Seau would calmly go over the defensive back and tell him to forget that play, but that he owed Seau two interceptions to make up for it. I also listened to former Patriots linebacker Tedy Bruschi talk about his days of playing with Seau, and times when Seau would tell Bruschi to “cover me” while Seau left the man he was responsible for and went to make a play in the offense’s backfield. It takes years for players to earn the kind of respect that allows a player to leave his responsibility to go try to make a play, but the way that Seau played the game Bruschi and the rest of the linebacker corps knew exactly what to do when #55 said he was going in. With everything that is going on in today’s society it is hard to say that anything that happens on a football field is “courageous”, but the way that Seau played the game with reckless abandon and made a hell of a lot more plays than he missed (1,849 tackles, 56.5 sacks, 18 interceptions, 3 forced fumbles during his career) is about as close as you can get. As anyone who knows me would tell you, sports are my life, but I do understand that even then athletics mean absolutely nothing unless it impacts a person in a positive manner. I believe that Junior Seau understood that as well, and his biggest impact in the world may be his foundation, the Junior Seau Foundation. The Junior Seau Foundation was created in 1992 (2 years after his debut with the Chargers) with the mission to “educate and empower young people through the support of child abuse prevention, drug and alcohol awareness, recreational opportunities, anti-juvenile delinquency efforts and complimentary educational programs”. You can check out his foundation’s website here: http://juniorseau.org/. Since its inception this foundation has distributed nearly $4 million to organizations that provide services to children and young adults, and that kind of impact had to mean a lot to Mr. Seau. I currently work part-time for an organization that does essentially the same thing as what Junior Seau’s Foundation does, so finding out and about this organization hit home with me. Helping future generations avoid the mistakes that some of us have made is a worthy cause, and I hope that this organization will continue to thrive even after the passing of Seau. To take this column back to the point of this entry, the video, I hope that the people who take the time out of their day to check this out can look into their own lives and think about the moments that they have been courageous. Merriam Webster defines courage as “the mental or moral strength to venture, persevere, and withstand danger, fear, or difficulty”. Have you been as courageous as you could have been in your life? Have you faced your fears or conquered difficult situations? We all have things we can work in our own lives and demons that we face, and I hope that the passing of Junior Seau and reading this article will be thought provoking enough to have an impact on your life. 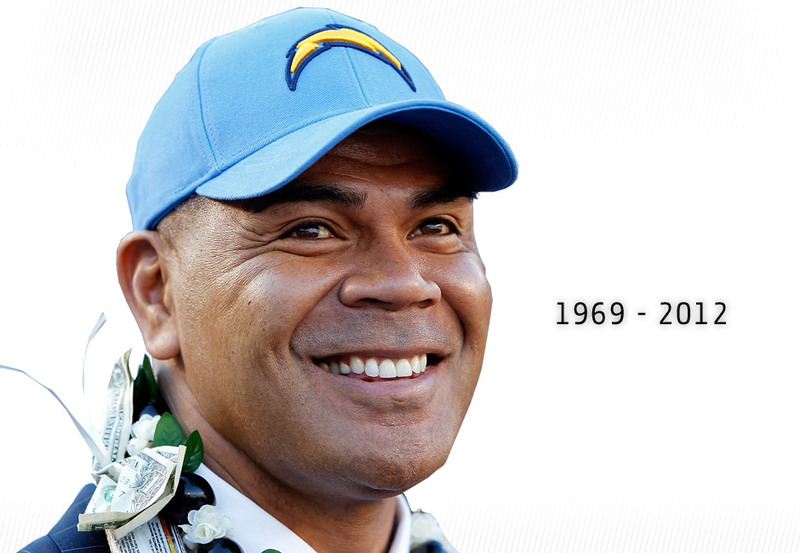 Seau may have succumbed to the pressures in his life, but today we can all learn from his tragedy and attempt to be as courageous as he was for the 43 years he was on this earth and not the weakness he showed in his final moments. God has given us all a chance to become better with each passing day, and I just hope that the fans of my work will take advantage of that and enjoy life to the fullest. As Matthew Broderick famously said in Ferris Bueller’s Day Off “Live moves pretty fast. If you don’t stop and look around once in a while, you could miss it”. This entry was posted in NFL and tagged Chargers, Dolphins, Football, Junior Seau, NFL, Patriots, Sports. Bookmark the permalink.